Dennis, Katee, Jordynn, Jarett and Jessie were a blast during their photo shoot for North Scottsdale Pulse Magazine! We have known Katee and her girls through Pom at Chaparral High School, but this time we got a chance to spend time with the whole family at their home. They are such a fun, charismatic and talented bunch. 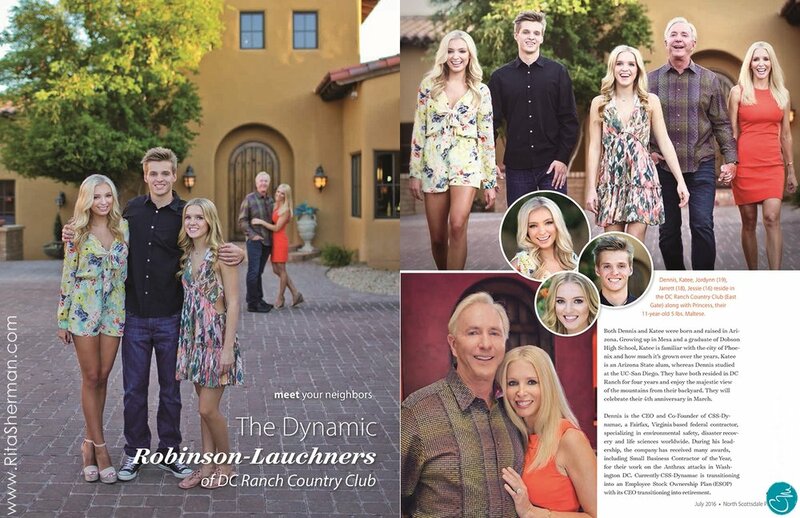 Thank you all for a fabulous session and great article in North Scottsdale Pulse!